El Tucan is a pretty cool diner and show experience in Miami. 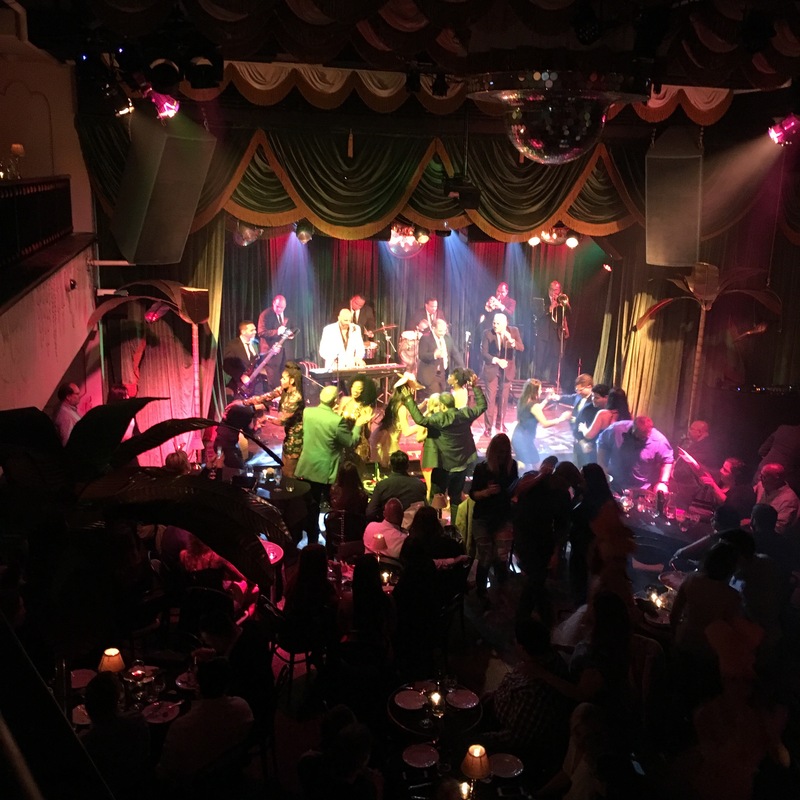 Located in the Brickell neighborhood it offers a resident 11-piece Latin orchestra, curated by Two-Time Grammy award-winning pianist, composer and producer Marlow Rosad. You can go there for diner and show or simply the show. Giving a flashback to the 1940’s in Cuba the decor is very glamorous and the venue it self is very appropriate for it. If you’re on the main floor or on the balcony you get a good view on the show and the people around you. The menu offers tapas style dishes and they have a good variety of drinks. I was there only for the show and party that takes place after so I didn’t try the food. The show part was very fun but as you will see from my videos below the after show turns into quite a party as well. This is definitely a place to visit if you’re in Latin music and want to enjoy a live show. I would suggest to dress up although the only restriction is not to show up way too casual but the surroundings you’ll be in are worth suiting up! Here’s a couple of videos from my visit and some pictures taken from their website.